Split tests take the guesswork out of email marketing. With the data from split tests, you can easily find out what content your subscribers prefer and send messages that get more opens, clicks, and sales. Too often, people focus almost exclusively on subject line split testing. They optimize their subject lines and boost open rates. However, they rarely split test the content inside their emails. This is a big mistake. After all, a high open rate doesn’t matter if subscribers don’t read the content inside your email and take action. There are simple email content split tests that can have a big impact, like these 6 easy split tests. Does having a bold and colorful headline at the top of your email content grab your subscribers’ attention and keep them reading? To find out, send two emails — one with a eye-catching headline and one without a headline. Do your subscribers like to feel that your emails were written specifically for them? Run a split test to find out! Try using their first name in the salutation of your email (for example, “Dear John,” “Hi John,” “How’s it going, John,” etc.) and see if you get a higher click-through rate. You can also incorporate someone’s name at the end of a sentence or in another natural (yet unexpected!) place in your email. Pro tip: If you have an AWeber account, you can easily add a first name to your email subject line or content to personalize your messages. Are your subscribers visual people that like images in their emails? Or, do images distract them from your content and call-to-action? Create a split test where one email variant has an image and the other does not. Compare the results of your test and find out which your audience prefers. Perhaps your subscribers like short emails that get straight to the point. Or, maybe they need more information before they’re ready to make a decision. 5. P.S. vs. no P.S. Since subscribers often skim emails, including a P.S. 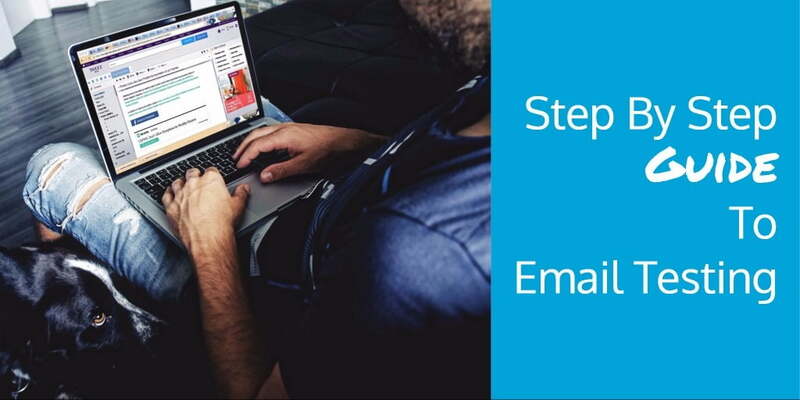 at the end of your emails can be an effective way to boost your click-through rates. A subscriber might glance over your content, but carefully read the P.S. To see if this is true of your subscribers, send your first email variant without a P.S. and your second email variant with a P.S. at the bottom of your content. Are your subscribers more likely to click on a button or hyperlinked text? If you don’t know, a split test is a great way to find out! After all, if your call to action (CTA) isn’t optimized, you’re missing out on valuable clicks. Try two variations of an email — one with a button as a CTA and the other with hyperlinked text as a CTA. Just make sure to use identical text for both calls to action. Now that you have a few tests to start with, you can begin improving your emails and your bottom line. Ready to discover even more tests you can use to optimize your email marketing strategy? Check out our free Minimalist Marketer’s Guide to Split Testing to learn everything you need to know to become a split testing master.